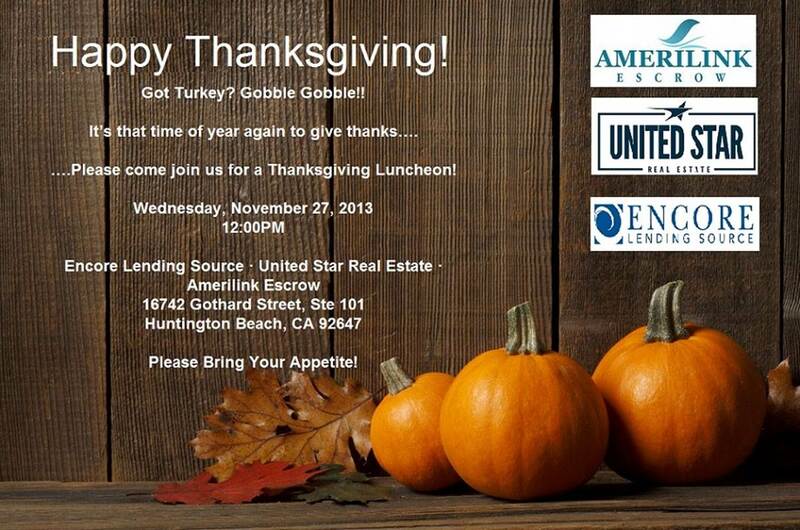 Join us for our luncheon this Thanksgiving for great food, networking, and giving back to our local community. We will be joining in with Amerilink Escrow (our in house escrow), Encore Lending Source (our in house direct lender), and United Star Real Estate (residential brokerage). Invite your friends and family for an afternoon of celebration!